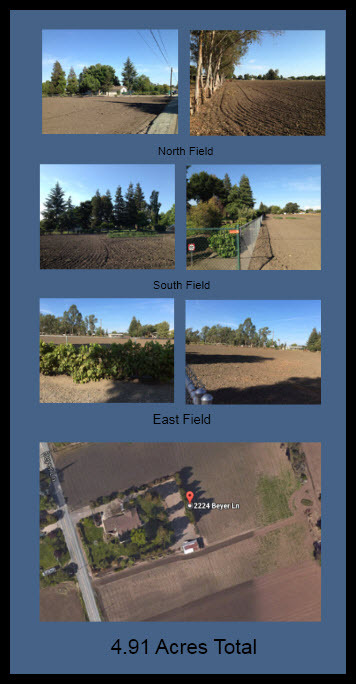 Are you looking for a home with agricultural land for sale in the Stockton CA area? Would 4.91 acres suit you? Would a home within 1.5 miles to Hwy 99 and less than 3 miles to the Stockton cross town freeway work for you? Then you need to check out our newest ag land listing for Stockton. This was the video we produced for this Stockton Home with 4.91 acres of agricultural land. This private, gated and fenced enclosed compound is situated on approximately 4.91 acres just east of Stockton off of Waterloo Road. This is a single story home with 3 bedrooms, 2 bathrooms, and 2006 sq. ft. It’s nestled among large towering pine trees, with a variety of other types of trees and bushes planted within the secured area. Only 1.5 miles from Highway 99 and less than 3 miles from the Stockton Cross Town Freeway, this property is close to all the major transportation hubs. Linden Unified School District. The price for this ag land Stockton home is $575,000. The house sits on approximately one acre in an electronically fenced compound. The remaining acreage is bare land. How you decide to use the land is up to you…plant an orchard, vineyard, row crops, use it for horses…so many choices. Check out the images of the fields shown below. If you are looking for ag land for sale in Stockton, CA, then please give us a call and we’ll help you find the home you’re looking for. 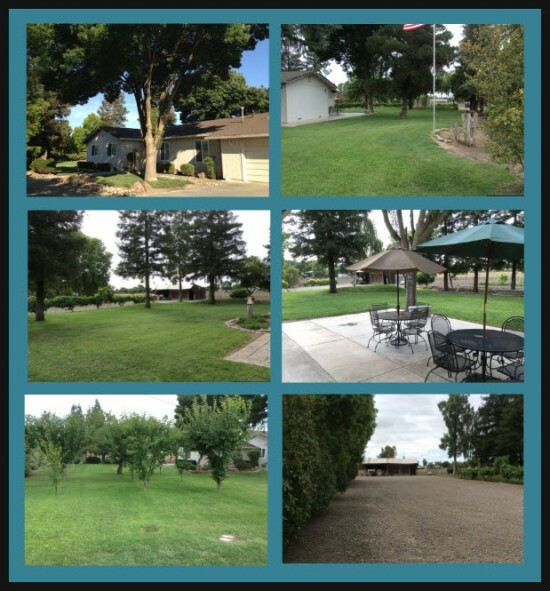 Check out all the Homes for Sale in Stockton with Acreage.